It’s the beginning of 2018, which means New Year’s Resolutions have to be on everyone’s minds! If you’re like most of us, then one of your resolutions is to eat healthier and find food alternatives that taste good and are body-friendly. Our good friend, Dra. 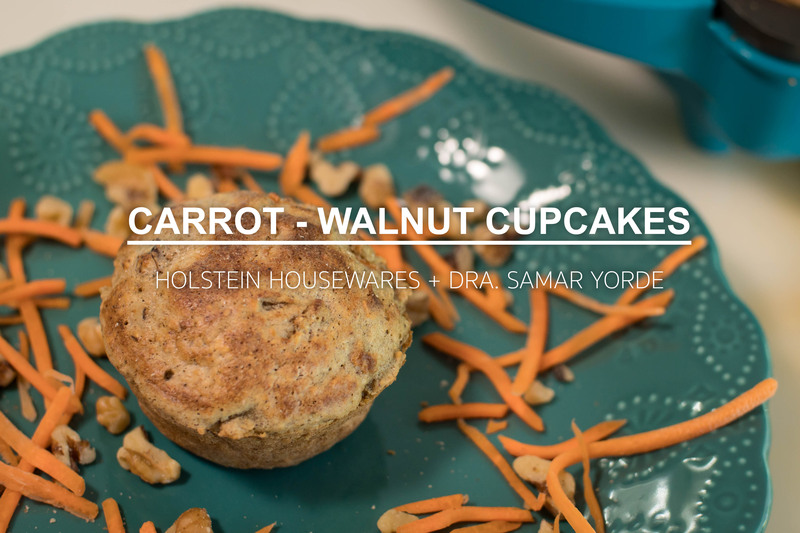 Samar Yorde @soysaludable, is an expert in developing these type of recipes and she developed a delicious Carrot Walnut Muffin that is packed with nutrients and a great way to start your day! The best part is that you have many of these ingredients at home and they are ready in just minutes using our cupcake maker. Indulge in these irresistible treats and make sure to share the recipe with anyone else trying to stay on track with their New Year’s Resolutions about healthier food alternatives. Brownies & Breakfast in Your Holstein Brownie Maker!